Because politics is not just for politicians. It is our human and citizen right to participate in the processes of making decisions which influence our lives. A dialogue has no alternative. Because elections are the pillars of democracy. It is every citizen’s right to decide on whom to give his/her vote in free and fair conditions. Our vote is valuable and it can make a difference. Because institutions serve the citizens. We need strong institutions with integrity which protect the public interest. Because media should ask questions and critically analyse the reality. We need the media which protect the public interest and tackle the needs of the citizens. By developing the communication capacities of civil society organizations, the goal of this project is to empower organizations to use innovative techniques in more effectively way, also tools and communication channels for more effective action and a real impact on democratic change in their communities. It will strengthen the ability to civil society to communicate their advocacy messages and objectives both with citizens and governments, thus strengthening their effectiveness and impact in undertaking initiatives and influencing true democratic changes in these priority areas. Equipped with communication skills, capacities, channels and digital tools, CSOs, grassroots and journalists will be able to engage citizens more deeply and reach their communication and advocacy goals more effectively. This project aims to bolster citizen-driven demand for accountable and responsive government institutions, thus enabling democratic environment where citizens feel empowered and have the confidence to influence public decision-making. CRTA and its partners will act together to grow and strengthen a cross-country network of local CSOs, grassroots, activists and journalists that will be able and empowered to advocate for effective implementation of anti-corruption measures and greater government accountability. Through a public campaign, citizens will be able to access a wide range of both offline and online channels and tools, which will be utilized to spread values of activism and civic engagement by presenting that changes are possible. Also, the other targets were to establish an effective long-term, nation-wide and independent “Citizens on Watch” network that is actively engaged in advocacy for improved transparency, accountability and integrity, to disclose information about governance and political structures in all 174 Serbian cities and municipalities and to raise demand for the higher government integrity and accountability at the local level. This project contributes to the quality and stability of democratic processes through the establishment of a foundation for the impartial assessment of the transparency, integrity and regularity of the elections in all stages (both during and in between election cycles) as basic mean of citizen participation in democracy. It builds upon the credibility and experience of the “Citizens on Watch” election observation mission, launched by CRTA to provide an independent and comprehensive assessment of the entire election process. Relying on its capacity to organize the election observation mission, CRTA will extend its efforts of democracy advocate and will establish an effective long-term, nation-wide and independent “Citizens on Watch” network that will gather CSOs, activists and media in a joint initiative to support democratic participation both during and well beyond elections. Purpose of this project was to safeguard the citizens’ voting rights and ensure the prompt response and reaction to electoral breaches, thus securing and protecting the democratic character of the elections. Through comprehensive independent civic election observation, it also contributed to the increase of citizens’ trust in the elections and election outcomes, as a precondition for the meaningful citizen participation in democratic processes in the country. Relying on the international standards and principles for non-partisan election observation, CRTA monitored and reported on the developments within the pre-election campaign, throughout the Election Day and following the day of the vote, thus enabling the comprehensive, accurate and impartial assessment of the entire election cycle. This project provided opportunities for continuous engagement of civil society activists and citizens in supporting democratization efforts at the local level through monitoring of and advocacy for accountable governance. Through networking and capacity building, it aimed to establish an effective long-term, nation-wide and independent “Citizens on Watch” network that is capable to conduct monitoring and advocacy activities for improved transparency, accountability and integrity of public authorities, thus to contribute to the rule of law and support Serbia’s developing democracy. In that sense project raised demand among citizens for accountability and integrity in decision-making and increase citizens’ trust in civic engagement in their local communities. 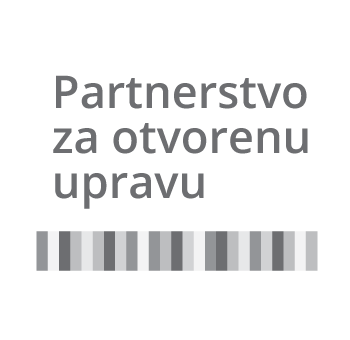 The project supported the Open Government Partnership (OGP) initiative implementation at the local level in Serbia. Developed model of the local OGP Action Plan enabled local self-governments to better plan and implement OGP principles, tailor measures based on local community needs, and thus improve the framework for public participation, higher transparency of local institutions and provision of better public services to the citizens. Utilization of developed model of the local OGP Action Plan enabled various local open governance initiatives on the long run. CRTA engaged in an effort to protect citizens’ voting rights and safeguard the integrity of the elections, thus promoting the free and fair elections and contributing to the prevention of the country’s democratic reversals. This have been done through the long-term election observation to be conducted throughout Serbia by the international standards and principles for non-partisan election observation. The observation focused on different aspects of the election campaign (including general information related to the campaign; major topics addressed during the campaign; general environment; irregularities and flagrant breaches of electoral legislation during the campaign), the work of election administration, and the use of public resources in the campaign. CRTA also conduced a comprehensive media monitoring of the election campaign. 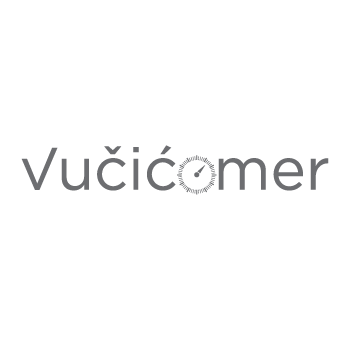 This project aimed to advance and support the use of new media in fostering government transparency in Southeastern Europe. The goal of the project as well was to plan development and equalize openness and accountability of institutions in the region and to foster the creation of policies of openness at the regional level. CRTA partnered with three organizations: Center for Democratic Transition (CDT) from Montenegro, “Zašto ne” from Bosnia and Herzegovina and Metamorphosis from Macedonia and developed its online transparency monitoring tool Regional Index of Openness and Accountability, allowing for in-country and country-to-country comparisons of the openness, accountability, and reform capacities of the four governments. CRTA developed this project in order to contribute to regional efforts in countering fake news, misinformation and propaganda that threaten to endanger the EU accession and democratization path in the Western Balkans. CRTA built capacities of its partners from Bosnia and Herzegovina, Macedonia and Montenegro for conducting media monitoring in their respective countries and using the fact-checking as an efficient tool for combating fake news, misinformation and propaganda. Through the practical component of the capacity building programme, CRTA conducted the one-month media monitoring activity in all four countries – Serbia, Bosnia and Herzegovina, Macedonia and Montenegro. This joint venture for the first time provided an initial insight into the regional picture of the EU influence, but as well the influence of other parties, and the presence and spread of propaganda, fake news and misinformation in the region. 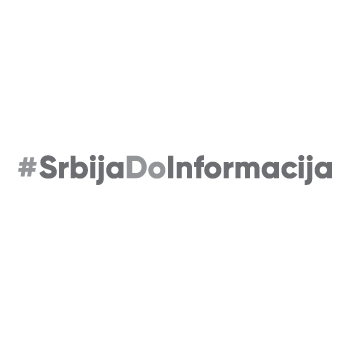 Citizens of Serbia are provided with credible and independent information on most relevant developments on Serbian political scene, and thus enabled to scrutinize the work of and hold their representatives accountable. Through this project CRTA strived to contribute to the establishment of accountability as part of political culture through the further positioning of Istinomer as engaged media that safeguards the freedom of expression and media in Serbia. CRTA decided to invest its efforts into the mobile application structuring and develop the web application at a later stage, to address users’ needs and enable the user engagement with the news content in the most desirable format. Relying on these findings, CRTA launched mobile app. With this project, CRTA developed and launched the “Inspiring Girls” public campaign with the purpose of enabling successful women and girls to connect with an aim to break gender stereotypes concerning professions and professional orientation and reduce gender inequality. Modeled by the “Inspiring Women” and its successor “Inspiring Girls” campaigns from the UK, the campaign is expected to evolve into a nation-wide initiative that will empower and provide girls in Serbia with the inspiration, motivation and knowledge they need to help them achieve their full potential and make better informed choices about their future careers. With this project, Istinomer investigated and reported on key political developments from accountability perspective with special focus on presidential campaign and issues faced by underrepresented groups in society. During the 2017 presidential campaign, Istinomer launched new website providing relevant information on presidential candidates’ programs and collecting promises to be subsequently fact checked. Istinomer also upgraded existing online tools to enable citizens to explore and compare platforms of the presidential candidates and thus motivate its audiences to further engage in accountability monitoring during the campaign and its aftermath. Through its continued cooperation with partner CSOs, which work with underrepresented groups, Istinomer also put the issues of vulnerable groups on the agenda during the campaign, by demanding candidates to give their views of the problems affecting these groups and propose concrete and viable solutions. This project supported CRTA’s Citizens on Watch election observation mission trough the establishment of the Call Center, necessary ensure timely and efficient collection of election monitoring results, both on the Election Day and the day of revote. Engagement of the trained Call Center operators as to support to the short term election observation enabled the accurate, timely and precise reporting on the integrity and regularity of the election conduct from CRTA Citizens on Watch headquarters. Thorough this project the Citizens on Watch short-term election observation and reporting on the Election Day and the day of revote were supported. Through its Citizens on Watch election observation mission, CRTA monitored and reported on the developments within the pre-election campaign, throughout the Election Day and following the day of the vote, thus enabling the comprehensive, accurate and impartial assessment of the entire election cycle. CRTA’s Citizens on Watch election observation was the utmost importance for safeguarding the citizens’ voting rights and securing the democratic character of the upcoming elections. The project aimed to assist the Serbian Parliament to effectively use available parliamentary mechanisms to oversee the work of the Government in the implementation of public policies. It also aimed to assist the Parliament in increasing its integrity and accountability towards the public, as well as in establishing partnership with civil society. The purpose of the project was to create the space for an open and participative policy dialogue that is based on facts and evidence, thus contributing to more open, accountable and participatory governance in Serbia. With shrinking space for the constructive policy debate, caused by the high democratic deficit within institutions, complete lack of citizen engagement and decreasing trust in the government, this project enabled the inclusion of different perspectives and opinions into the policy processes. It increased the potential for increased public influence on policy development and implementation, consequently contributing to the improvements of the process itself and higher quality and responsiveness of adopted laws and policies. Relying on the international standards and principles for non-partisan election observation, CRTA monitored and reported on the developments within the pre-election campaign, throughout the Election Day and following the day of the vote, thus enabling the comprehensive, accurate and impartial assessment of the entire election cycle. Thought this project CRTA strived to safeguard the citizens’ voting rights and ensure the prompt response and reaction to electoral breaches, thus securing and protecting the democratic character of the upcoming elections. Along with the accurate, timely and precise reporting on the integrity and regularity of the elections conduct, CRTA’s Citizens on Watch long-term election observation uncovered and disclosed different influences and interference into the elections, and the attempts of such influence to derail Serbia’s path towards the EU and its further democratic progress. The project's goal is to improve the implementation of the right to free access to information of public importance and contribute to safeguard the achieved standards in this domain. CRTA has identified systemic problems and cases of institutions not acting in accordance with law and has conducted a comprehensive assessment of free access to information mechanism’s efficiency by monitoring institutions’ response to requests for free access to information filed by citizens, the civil society sector and media outlets, and the system’s reactions to breaches of law by public authorities. Relying on research results, CRTA has made an analysis of free access to information mechanisms’ effectiveness and provided recommendations to improve them. I don’t give up the Right to Know! The project should contribute to fostering the achieved level of the right to free access to information of public importance and strengthening independent institutions and democratic practices in Serbia. CRTA will conduct a public advocacy campaign for an improved legislative framework for free access to information and democratic practices, as well as for strengthening independent institutions. The campaign for civic inclusion and raising public awareness about the importance of free access to information will aim to improve the implementation of the right to access information. Advocacy of changes to the Law on free access to information, the promotion of the right to free access to information, and boosting citizens’ trust in the institution of the Commissioner will rely on joint work of CRTA partner civil society organizations (CSOs). Project objective was to assist the National Assembly of the Republic of Serbia to enhance its communication and co-operation with civil society organizations (CSOs), thus increasing their capacities to accommodate different civic initiatives. The main objectives of this project were enhancing the involvement of civil society and media organisations in the creation of public opinion, policymaking and participation in the decision-making mechanisms and increasing capacities of civil society to build its constituencies and tackle bold issues. Istinomer mobile teams’ monitoring, on-sight reporting and direct engagement with political parties, media and citizens provided an ongoing access to credible information on developments around election campaigns in local communities. Access to information on election developments supported voters to make an informed decision in the elections, thus contributing to a more democratic and inclusive political culture in Serbia. CRTA used the Istinomer’s established credibility, rely on regional media and CSO partners (National Coalition for Decentralisation – covering 16 municipalities, Independent Journalists’ Association of Serbia, Independent Journalist Association in Vojvodina, Education Center in South Serbia and UrbanIN in South West Serbia) aiming to cover all regions in Serbia, including those with most vulnerable minority groups), and online community of 200.000 monthly users to promote informed voting and increase citizen participation in the 2016 elections. In the challenging political environment and progressively shrinking space for the media, this project aimed to ensure opportunities for an open public debate on issues of public interest. With provincial and local elections approaching, and possibility for early elections at all levels in Serbia, this project seeked to motivate public demand for election candidates’, political parties’ and public institutions’ accountability. This have been done through the Istinomer ongoing accountability journalism, fact-checking and investigative reporting, with particular focus on political parties’ and election candidates’ accountability and performance. 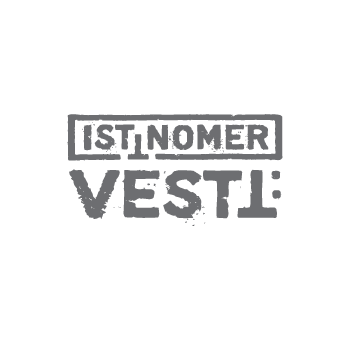 Istinomer video products (Istinomer interviews and video fact-checks) aimed to raise visibility of most striking accountability issues and developments, while development of Istinomer online tools will seek to increase citizens’ interactive engagement in pre-election processes. 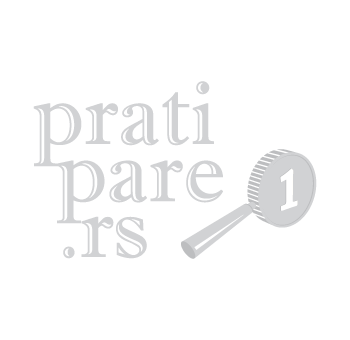 This project seeked to provide the Serbian public with credible and independent information on most relevant developments on political scene, and enable citizens to scrutinize the work of and hold their representatives accountable. 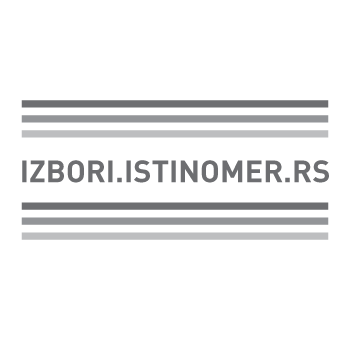 This has been be done through the development of the new Istinomer product ‘Politics In Brief (Serb. 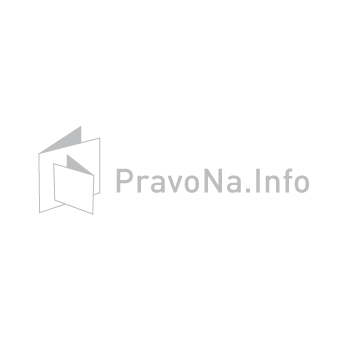 Politika na dlanu)’ that provided citizens of Serbia the access to brief news and information on all current events and developments on Serbian political scene from accountability perspective. Who is in My Government? 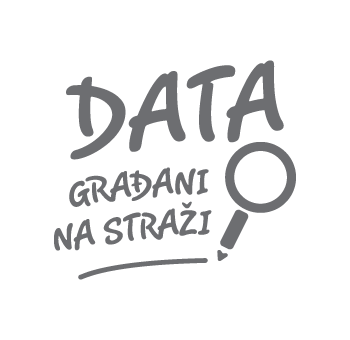 This project aimed to collect, map and disclose information about political structures in all 174 Serbian cities and municipalities, to raise awareness and inform citizens on political shifts, while keeping track on individuals who flew-over between political groups. By creating the public record of local self-governments constitution and highlighting unaccountable behaviors it raised demand for the higher government integrity and accountability at the local level. With this project, CRTA investigated and reported on crucial political developments from accountability perspective and will research and disclose the information about presidential candidates’ accountability and pre-election campaign activities. Through these activities, CRTA sought to mobilize the critical mass of supporters for an ongoing scrutiny of political processes and performance, and to foster mass civic reaction to accountability breaches. Overall objective of this project was to inspire citizen engagement in policy process through an open dialogue that is based on facts and evidence, thus contributing to the strengthening of democratic culture in Serbia. 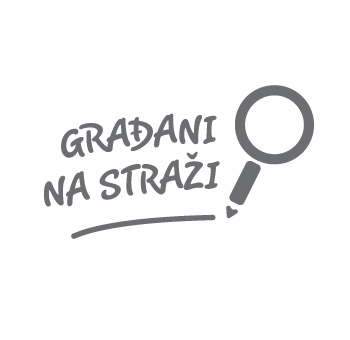 This project brought a coalition of civil society organizations to empower citizen engagement and advocacy on policy changes by fostering activism and creating the space for an open, inclusive and evidence-based policy dialogue in Serbia. 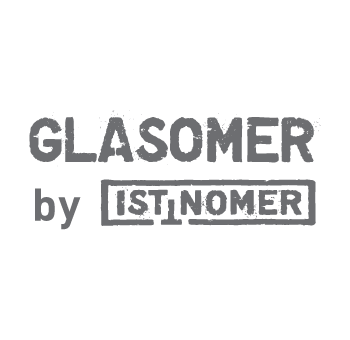 During the 2017 presidential campaign, Istinomer launched new website providing relevant information on presidential candidates’ programs and collecting promises to be subsequently fact checked. Istinomer also upgraded existing online tools to enable citizens to explore and compare platforms of the presidential candidates and thus motivate its audiences to further engage in accountability monitoring during the campaign and its aftermath. The purpose of this project was to bring citizens closer to parliamentary democracy through mechanisms that inform, educate and enable citizens to hold representatives to account. While only aware and educated public that participates in public life has the power to demand and influence open, accountable and responsive governments, this project inspired citizens to connect with decision makers and engage in political processes. In the long term, this contributed to the establishment of the political environment and democratic culture with active citizens capable to influence decision making that is truly accountable and responsive to their interests and needs. 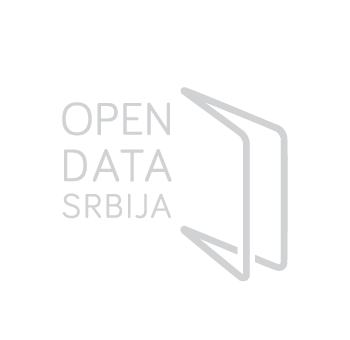 The overall objective of the project was to improve the transparency and accountability in decision making in Serbia, particularly in the public finances area, by supporting the data literacy and empowerment of civil society, media, government representatives, tech community, academia, business and the general public for the meaningful and substantial contribution to society through the use of data. Specific objective of this project was to investigate and define the demand, capacity and potential of targeted stakeholder groups for the effective development of the School of Data. The project's overall objective was to motivate citizens to take an active engagement in accountability advocacy through engaged and informed participation in monitoring and overseeing election processes in Serbia. This project created an integration roadmap for scraping financial data from a number of online sources such as company registers, public procurement repositories, customs administration etc. The project collected and integrated existing municipal budgets in Serbia in pilot municipalities. 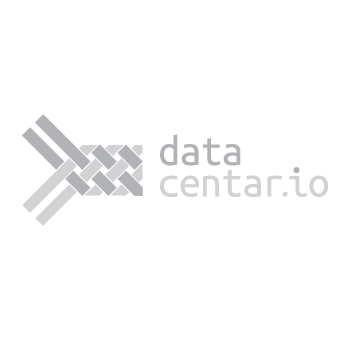 Data Centar combined them in an easily searchable online platform for journalists, advocates, researchers, government officials, and the small section of the general public that might discover and spend time on the site. 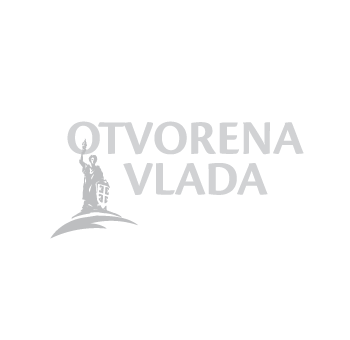 The project goal was to contribute to the promotion of the principles and values of the Open Government Partnership in Serbia and enhance the dialogue between the civil society and public administration as one of the basic goals of the Open Government Partnership and the Government of the Republic of Serbia, as a member of the Partnership. This project aimed to strengthen CSOs' budget advocacy capacity through the development of an online manual and toolkit and accompanying training program, mentorship, and 10 local public advocacy campaigns. Local CSOs and CRTA have designed budget advocacy campaigns at local and national levels, using relevant budget data as well as various budget-related analysis and information. These campaigns have contribute to increased transparency of local self-governments, the promotion and encouragement of civic engagement in local policy making. The aim of this project was to enhance communication and cooperation between the National Assembly of the Republic of Serbia and civil society organizations, thus to increasing capacities of the National Assembly of the Republic of Serbia to accommodate different civic initiatives. This project sought to strengthen the role and capacities of CSOs to effectively undertake budget advocacy towards increasing transparency, openness and accountability in public finances. It brought civil society closer to local government, thus laying foundation for greater public participation in all stages of policy processes. The project advanced CSOs’ budget advocacy capacities through the online manual and toolkit and accompanying training program, ongoing mentorship, accountability journalism support and covering costs of 10 local budget advocacy campaigns. The „Fiscal Monitor Project“ contributed to consolidation of democracy, good governance and the rule of law in Serbia through enhancing civil society influence on government accountability and transparency, thereby supporting the EU integration process. 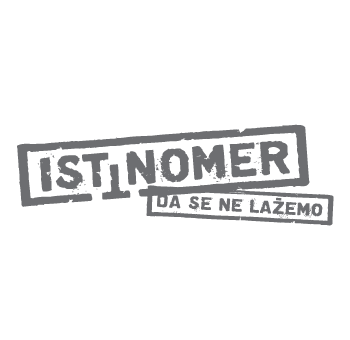 This project aimed to establish Istinomer as widely used fact-checking accountability tool during and after the elections and open public debate on issues of public interest, thus safeguarding the freedom of expression and media in Serbian society. Achievements of this project were to contribute to a long lasting change of political environment with citizens in the center of decision making and the Parliament as an example of institutional commitment to transparency, thus setting the standards for other branches and levels of government. Strengthening of the Parliament’s capacities for proactive outreach and engagement with civil society, as well as increased opportunities for CSOs’ and citizens’ active participation in parliamentary monitoring and scrutinizing the work of their representatives, ensured the long term investment in building the political environment and parliamentary culture with active citizens and their representatives truly accountable and responsive to their interests and needs. 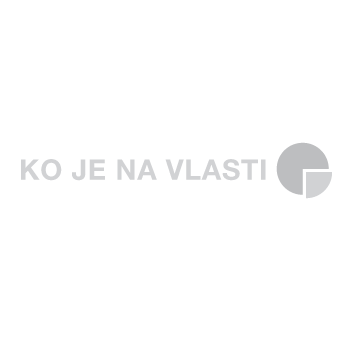 Within this project, CRTA partnered with Why Not and GONG to produce the high quality ‘Fakat’ TV episodes that provided the public in the region with credible information and facts about the work of politicians and public institutions in Serbia, Bosnia and Herzegovina and Croatia. Through the Truth-O-Meter accountability journalism, fact-checking and deep-dive investigation of most important accountability issues, CRTA continued to act as engaged media, credible source of information and effective mechanism for monitoring of politicians’ and public officials’ accountability. Development and publishing of video fact-checks and video interviews seek to motivate citizens’ higher engagement in accountability oversight. Development and publishing of video fact-checks and video interviews strived to motivate citizens’ higher engagement in accountability oversight. This project aimed to ensure better informed public about state funding, under which considerable budget funds are allocated in an insufficiently transparent way. Using investigative journalism stories, this project highlighted examples and consequences of non transparent public funds spending in various economic and social fields, This fostered raising public awareness of the need for civic oversight of state funds spending. Aim of this project was to strengthen the role and capacities of civil society to effectively advocate transparency and openness of local budgets, to monitor accountability of public administration and empower citizen engagement in budgeting process. Aim of this project was to increase accountability and transparency of the Serbia-Kosovo Agreement implementation through establishing an effective mechanism for civic oversight over the process. The aim of this project was to support the establishment of accountability as a core democratic value and to empower civil society capacities for efficient and effective use of accountability tools in advocacy campaigns for increasing responsiveness of local politicians and government institutions. The aim of this project was to encourage the Parliament to recognize the benefits of citizen engagement. The project developed different models for engagement with citizens in general and with some particular audiences such as students, media or CSOs. Having received CRTA support through staff and MPs training for effective implementation of these activities the institution was prepared to create and implement its first public outreach strategy. Through this project CRTA further empowered CSOs, media and individual citizens to engage and actively advocate for more accountable and more responsive work of public officials and institutions in Serbia. Within accountability monitoring, research and evaluation CRTA continued to develop its watchdog role and serve as a mechanism for empowerment of accountability and transparency initiatives and actions on local and national level. Within this project, CRTA continued monitoring of parliamentary work and public disclosure of parliamentary information, and advocated for the adoption of the Declaration on Parliamentary Openness (a set of shared principles on the openness, transparency and accessibility of parliaments developed by the international PMO community) that calls national parliaments to increase their commitment to openness and to citizen engagement. 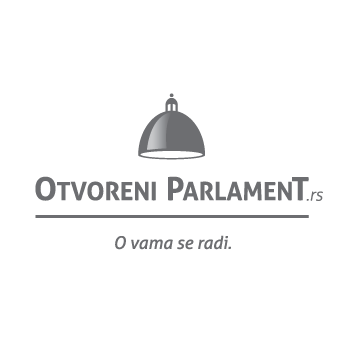 Upgrade of the Open Parliament portal provided public with variety of information about parliamentary activities that can be used not just for further research by media and academic public but also for developing CSOs and citizens’ parliamentary advocacy and monitoring initiatives. Use of interactive technology tools fostered citizens’ ability to provide meaningful input on legislation and parliamentary activity and to facilitate communication with parliament. The aim of this project was to empower citizens to demand an accountable Parliament through disclosure of facts about existing parliamentary decision making patterns and practices and development of an effective mechanism for public oversight of parliamentary work. A civic media calling politicians and public officials to accountability for public say. Active citizens for fair and free elections in Serbia. What’s happening in the Parliament? Get involved, it’s all about you. We have the right to be informed about the work of public institutions and to an Independent Institution of the Commissioner for Information of Public Importance. To know not only what happened, but why it happened. To find out more in less time. News as they should be. Has the local councilor flew over to another party in your or neighboring municipality? Learn more or report. The right to free access to information of public importance implies your right to request and receive information regarding the work of public authorities. Accessible, searchable and comparable results of presidential and parliamentary elections. 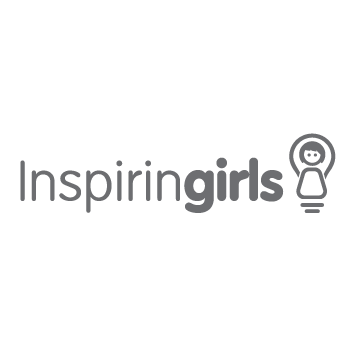 Part of a global campaign aimed to inspire girls to freely and without prejudice pursue their professional choices and dreams. The governments’ commitments to citizens include promotion of transparency, empowering citizens, fight against corruption and use of new technologies to strengthen the governance system. 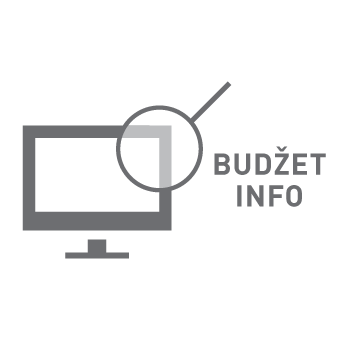 You are interested in budget funds of your city or municipality? Here you can also access information about the amount of budget funds allocated to local public companies. Compare your political attitudes with the attitudes of presidential candidates competing in the elections. All information about presidential candidates in the 2017 elections at one place. Access, liberate and reuse diverse public data at the state and local level in an open format. Innovative educational programs for data management, advocacy for opening of public data and creating digital solutions using available data in an open format. How does the Government work, to what extent is it accountable to citizens? Acquire the information about the annual work plan of the Government, as well as regulations, proposed laws and strategies. How many promises of the current president has been fulfilled? Track the (non)fulfillment of his promises through mandates. Track the progress of investments in your city or municipality financed from the local budget. Take care of the management of public funds by authorities. Our research activity aims to address the degree of democratic development, parliamentarism and parliamentary procedure, transparency, and institutional openness as a way of holding those responsible for public goods accountable. We use the collected information as the basis for providing recommendation on improving the work of institutions. Additionally, the results we gather from our research are used for arguments in creating and implementing a public advocacy campaign. Starting in 2005, CRTA has been working on the development of its own Training center. All of the CRTA trainers have NDI (National Democratic Institute) certificates and have specialized in trainings focusing on the development of organizational capacities, political skills, as well as the organization and managing advocacy campaigns.